Foster youth grow as leaders by developing solutions for Oregon’s foster care system. From their unique perspective as youth who have experienced foster care, OFYC members participate in key child welfare advisory meetings, provide education on foster care issues, and advocate for policy change in the Oregon Legislature. They learn to communicate effectively, problem-solve, and work on a team to achieve their goals. Through peer support and adult mentorship, members have the opportunity to build community with foster youth from all walks of life. Participating youth gain confidence from their experiences in foster care while building a foundation of support for a productive and successful adulthood. OFYC youth establish long-term change within the foster care system by developing and advocating for policies in the Oregon Legislature. 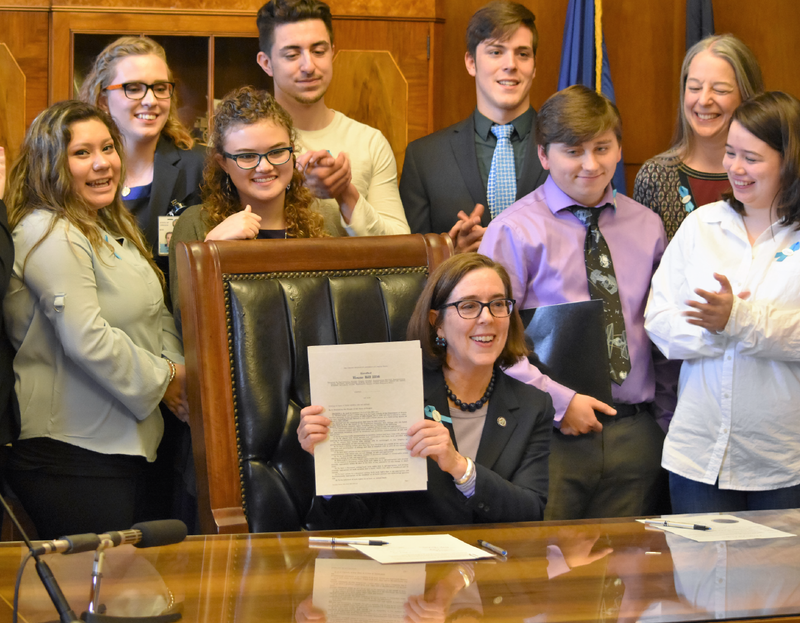 Wins secured by youth include the Foster Children’s Sibling Bill of Rights, a tuition waiver at state universities and community colleges for youth who spent time in Oregon’s foster care system, and the ability for foster children to open savings accounts in their own name. Alumni of OFYC have moved on to higher education, leadership roles in government, and career paths that build on the skills gained in OFYC. OFYC was founded in 2008 by a staff member of Children First for Oregon who experienced foster care as a youth. The very first OFYC meeting included four youth and two adults. Today, OFYC has members from all over the state, and we have been successful in passing every piece of legislation that our members have developed and advocated for in the Oregon State Legislature. Click here for a list of our legislative accomplishments. Ensures that youth in care are supported in preserving and strengthening relationships with their siblings. Gives youth in care the opportunity to participate in activities with their peers, develop their talents, and build lifelong relationships by ensuring that Oregon Department of Human Services (DHS) and foster parents work together to support youth in joining at least one ongoing extracurricular activity. Ensures that foster youth 12 years old or older receive direct assistance from DHS in establishing their own savings accounts. Establishes clear requirements for informing foster youth about their legal rights and establishes a hotline answered by the Foster Care Ombudsman, which is an independent resource to investigate complaints, concerns, or violation of rights for children in the custody of Oregon DHS Foster Care. Waives tuition and fees at state universities and community colleges for youth who spent time in Oregon’s foster care system. Grants eligibility for Oregon Health Plan Plus healthcare coverage for all youth in Oregon’s foster care system when they turn 18. Requires DHS to provide assistance to foster youth in obtaining a driver’s license. Raven joined OFYC in 2014 and has been involved in a number of activities and events, including the bi-annual Policy Conference and the Advisory Committee. Raven has also been instrumental in developing and passing several bills impacting foster care, including the Savings Account bill in 2015 and the Sibling Bill of Rights in 2017. One of her proudest moments was working on the Sibling Bill of Rights, which ensures that siblings are supported in staying together as they navigate the foster care system. Outside of OFYC, Raven works for an after school program with kids from kindergarten to fifth grade. She wants to become a teacher one day so she can make sure children are loved and cherished. In her free time, Raven loves to paint, listen to music, and spend time with friends. Since then, Elsana has participated in number of OFYC events and projects, including being a member of our Advisory Committee. 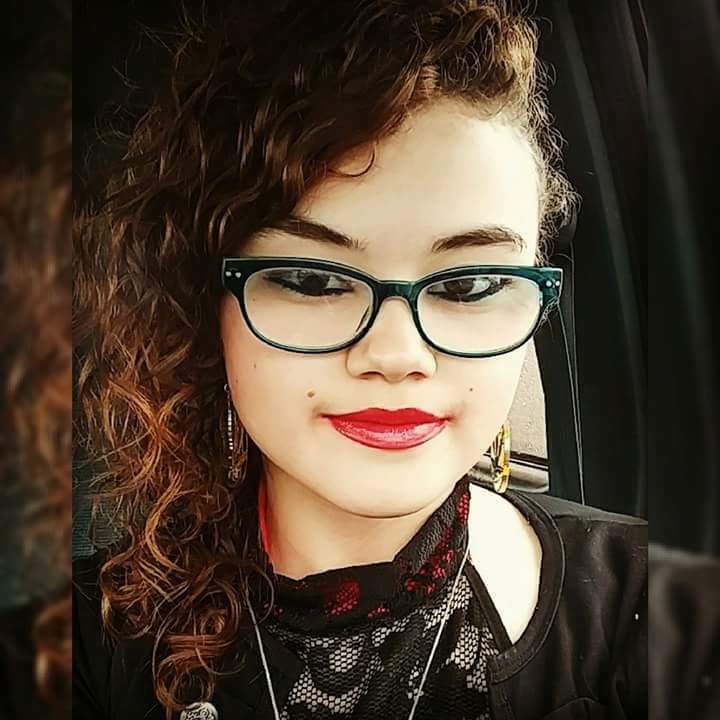 Elsana also helped to pass the Sibling Bill of Rights, is involved with regular meetings with Child Welfare director Marilyn Jones, has educated future caseworkers about how to make youth feel heard and meet their mental health needs, helped to plan the 2018 Policy Conference, and much more. Elsana says that OFYC has helped them discover a passion for speaking and taught them how to give others the strength to share their stories. Outside of OFYC, Elsana enjoys biking, writing poetry, and working with houseless folks of all ages. Elsana hopes to start college soon and is deciding between pursuing a career as a judge or a senator. Glayz had no idea what OFYC was when she first joined. She decided to check it out because she likes helping people, and it just stuck. Glayz has participated in several OFYC Policy Conferences and Advocacy Convenings, where she has helped to formulate and refine policy recommendations and the bills that OFYC takes through the legislative process. Glayz is currently going to school to become a peer support therapist and is looking for housing in order to live on her own. Are you an OFYC member who would like to have your story on this page? Reach out to Kate so we can add you! Lisa is OFYC’s Program Director. 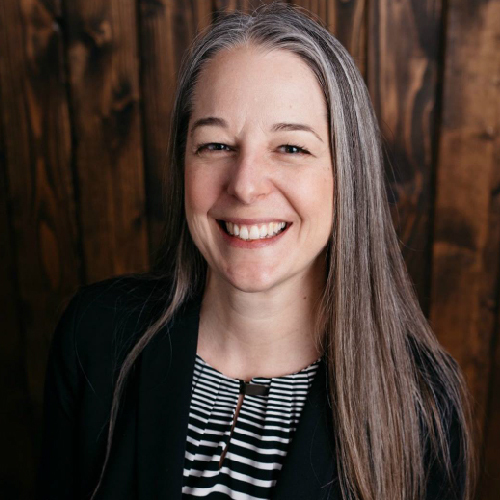 During her time at OFYC, she has been able to assist youth in making substantial changes to Oregon’s foster care system; a system they themselves have experienced. The youth Lisa works with have done this by using their knowledge of the system to bring forth legislation, inform rules and policy, and educate those who work directly with youth in care. From the beginning of Lisa’s career as a high school Special Education teacher, to studying self-determination for nearly a decade while at Portland State University’s Regional Research Institute on Human Services, it has been clear that Lisa is passionate about and dedicated to empowering young people. Lisa loves helping youth find their “spark,” while providing them the support necessary to succeed in their goals. When Lisa, a Michigan native, is not focused on improving the lives of youth in care, she likes to spend time with friends and family. Lisa also loves to travel, take hikes, listen to live music, and eat at the many amazing restaurants in Portland. You can reach Lisa at Lisa@cffo.org, (503) 236-9754, or on Facebook! Kate is OFYC’s Program Coordinator. 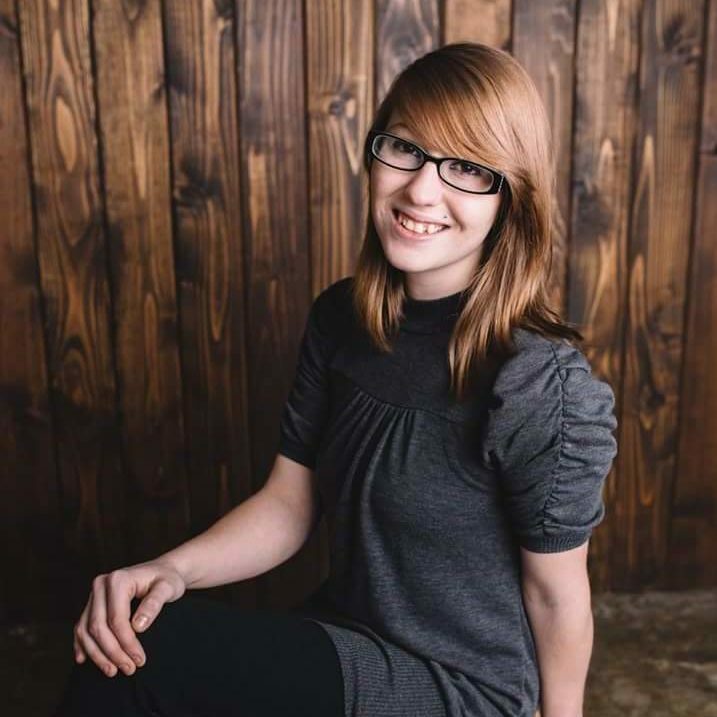 Kate grew up in Oregon’s child welfare system and has been a longtime advocate for youth in foster care, going back to the start of OFYC! Kate was one of the founding members of OFYC and later became Co-President. 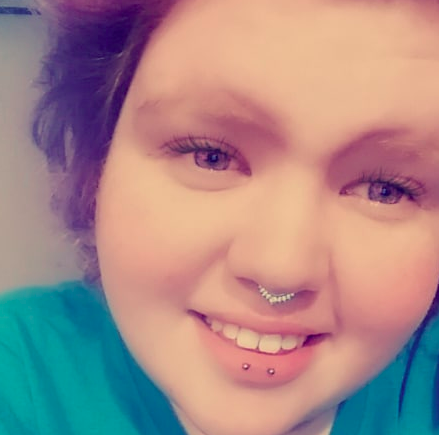 She has continued advocating for youth and working with child welfare, interning with the FosterClub AllStars, serving as a Youth Partner for Washington County Wraparound Mental Health Services, and working with Boys and Girls Aid and Youth MOVES Oregon. Kate has worked directly with youth in a variety of settings — as a mentor, as a Peer Delivered Service Provider, and as a Skills Trainer in Special Education. 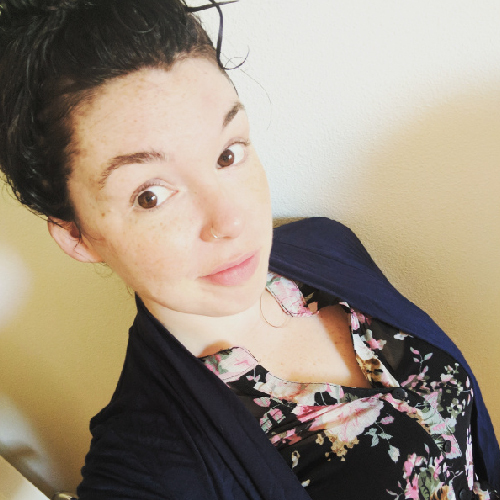 Kate’s experience in Special Education and child welfare has helped her target her passion in order to strengthen and build better systems of care for Oregon’s children. Kate believes that nothing is more powerful than advocacy for change, and she’s passionate about using her voice and working with youth to do the same. In her free time, Kate enjoys hiking, road trips to the beach, baking goodies with her family, and exploring Portland’s foodie scene. You can reach out to Kate at kate@cffo.org, (503) 236-9754, or on Facebook! Do You Have Questions About OFYC?